It’s January, which is a wonderful reason to pick NOW as the moment to develop your regular creativity practice. Regularity — a daily practice, if at all possible — is key. So what are your plans for creative practice this week? Given the specifics of your schedule, decide on a realistic goal or a milestone to reach for — and plan that time in your calendar. A goal as simple as “I will be creative for 10 minutes every day” or “I will gesso three canvases on Wednesday” is what it’s all about. 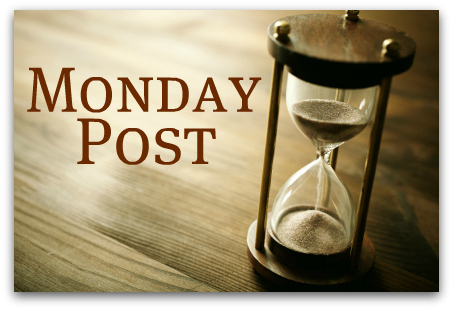 Share your goal(s) as a comment to this post, and let us know how things went with your creative plans for last week, if you posted to last week’s Monday Post. Continue working with the daily habits, these are a set of 6 habits that I’m incorporating into my daily life in order to have the clean, organized home that I dream of. This is meant to be a safe, beautiful and grounding space from which to create and focus on dreams and visions for the future. I have spent years saying that no one puts it on your gravestone what a clean house you have, but the truth is I’m just not happy if my environment is chaotic. Changing my daily yoga practice a bit, from 6 days of Ashtanga to 4 days of Ashtanga and 2 days of what I am for now calling Creative Flow Yoga, working on designing my own sequences using everything that I have learned. Last week: I drew every day and worked on all those habits. It’s hard, and I’ve had to prioritize and come up with a busy day plan, the 2 habits that have to happen no matter what (drawing and 15 minute clean up). I looked at a book of artist Terry Winters Paintings, Drawings and Prints. Read more of the Right Brain Business Plan and listened to the Vision Plan meditation while walking dogs. This was good and got me thinking, but I’d like to do it again at home lying down and take notes after. It’s hard to dream big, I keep thinking about my current reality. Even just visioning my space was hard as I keep trying to envision the space I have but I really want a much bigger space. this week’s goal: tomorrow is my writing group. so that’s a good couple of hours of editing. the closer i get to the end the slower i seem to get. just a few pages to go. more careful may be the better way to spin it. i have appts galore and overscheduled at work, still. i’ve got to solidify my work schedule. somewhere in there, another yoga session, i am missing regular practice and now i know how much. Got smacked by a bad cold late in the week, but I can deal with anything that isn’t the stomach virus. Universe, I am NOT complaining. Are we clear? This week my middle child — and only daughter — turns 16. Wow! Things to do. And the usual intentions…. this is working for me! i just got back from the gym and studio mother’s in my inbox reminding me to stay on track … yay! -did NOT do the studio cleaning (sigh, it’s a pit) but i did spend a ton of time in there working around the mess …. -i shall blog six times this week …. eek! Oh Lordy…constant battle with the everyday have to do’s. Or cannot feel calm. Once I get to that.. finish a Canvas on a neon/hotel sign here in Vegas. Then also put together more delicate Silver “Petal Stars” pendants. Think they would also work out as earrings too. Iwant a mass of them to do a elaborate cluster necklace and I think to keep it’s delicate nature..I have to individually hand forge them…not even sure they would cast anyway..my 4 kids will be up in the next 20 mins too..! How’s it going, Sarah? 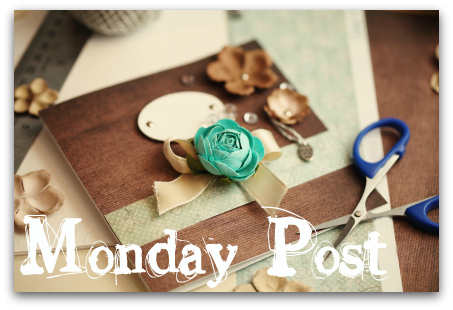 Would love to see you back at the Monday Page! The kids and I have named our days to help organize what we want to do – Sewing Sunday, Music Monday, Felting Friday, Knitting Everyday. At least if I get a tiny bit of those things in on those days we’ll make progress building their skills. Otherwise the days and weeks go by and I wonder why we haven’t found time to do anything but play yahtzee and build legos! Personally, I find myself slow to dive in to a discernable rhythm this January. I’m hoping last week was the start of it and I can build steam from here.